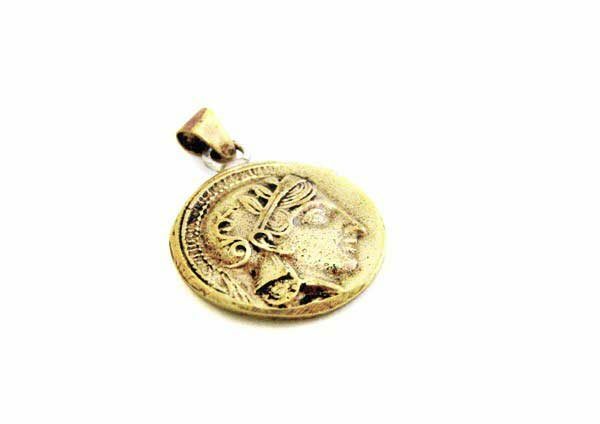 Ancient coin pendant. Goddess Athena and her owl! 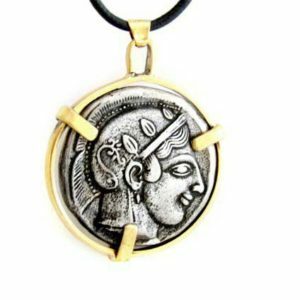 Ancient coin pendant, made of solid bronze with real leather adjustable string. 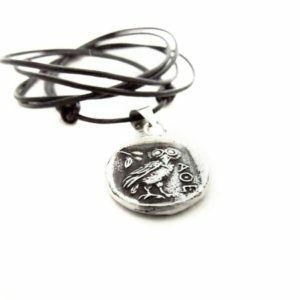 The coin is a replica of the ancient 1 drachma coin of 5th century BC, and depicts on one side goddess Athena and on the other the owl! It has approx. diameter 17mm. 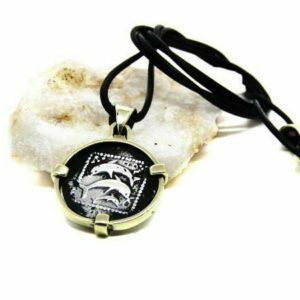 A simple coin pendant necklace you can wear all day, with all your daily outfits. 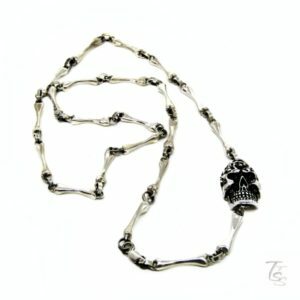 It is an ideal gift for men and women. The leather string is 35cm and it is easily adjustable to your preferred length. All Tsirikaua pendants are handcrafted with solid bronze and/or sterling silver.